So, here's the idea. For fantastic large scale art with personality, find yourself a vintage tablecloth of the right size (this one happens to be 44"x44") and hang it. You can do this simply by getting a stretcher kit, using a staple gun to secure the fabric to the stretchers (you can custom order the sizes) and hang. 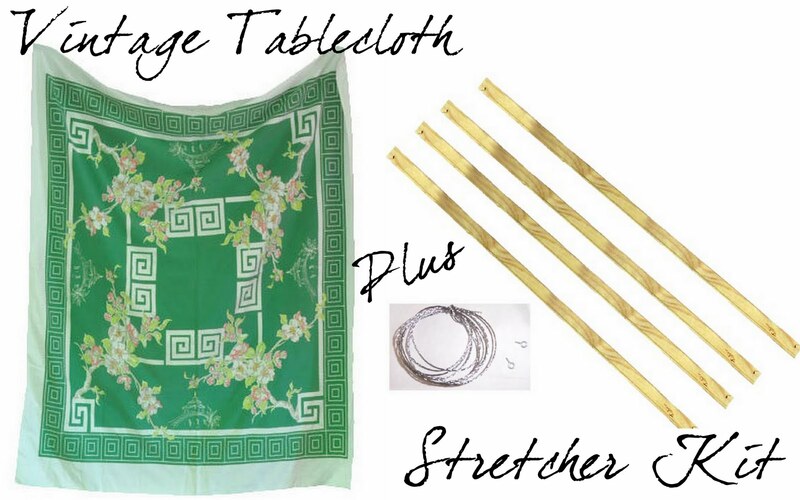 Sooo easy, pretty dang cheap (depending upon the tablecloth you choose) and super high impact. What would be even better is if it is an heirloom piece, so then it will have that sentimental value as well. I'm itching to try this out, if one of you do first...I would love to hear about it! Great tip! Looking for one now! That's such a great idea.